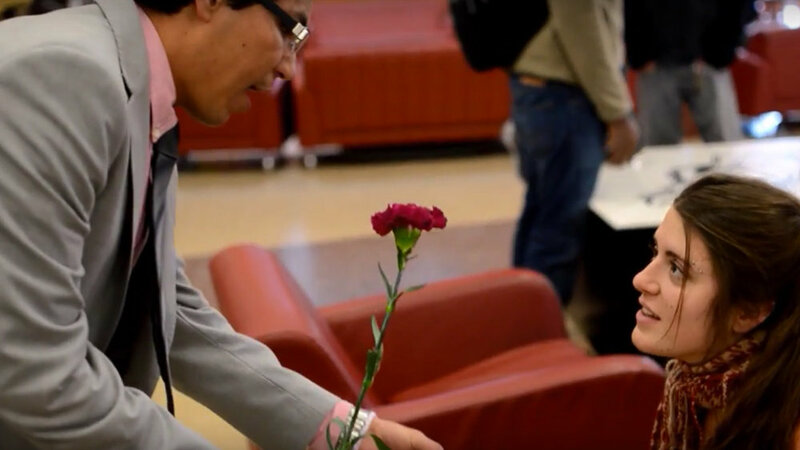 International Students and Scholars at the University of Arkansas celebrate International Women's Day March 4, 2015 at the Union Connection Lounge (ahead of the official holiday that Sunday, March 8). The college group used educational displays and presentations, simple one-on-one conversations and more to share women's stories; to reach across national, generational and cultural divides and to show appreciation for the resilience, strength and contributions of girls and women around the world. Celebrations like these are taking place increasingly commonly as college communities spread the word about International Women's Day and women's issues around the world. Find out more about University of Arkansas International Students and Scholars, like the group on Facebook or follow them on Twitter.